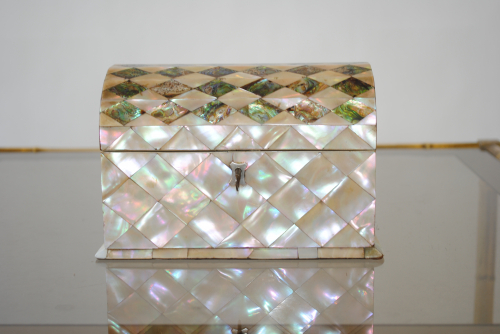 Pretty mother of pearl box for letters and cards. C. 1940. Probably continental.